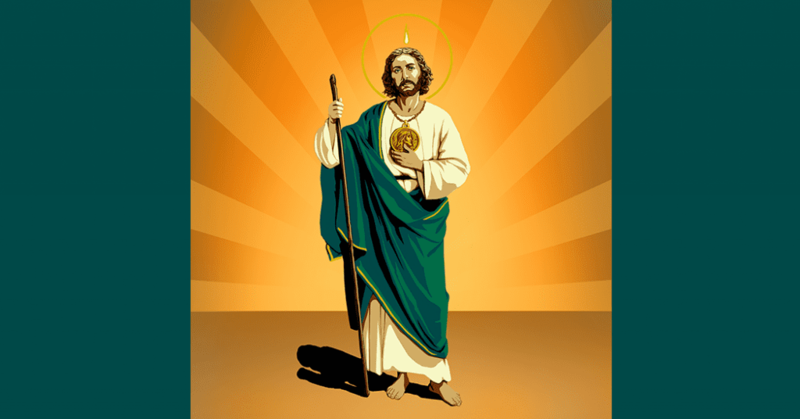 Saint Jude, apostle of Christ and glorious martyr, I desire to honor you with special devotion. I choose you as my patron and protector. To you I entrust my soul and body, all my spiritual and temporal interests, as well as those of my family. To you I consecrate my mind, so that in all things I may be enlightened by faith; my heart so that you may keep me pure and fill me with love for Jesus and Mary; my will so that, like yours, it may always be one with the will of God. Pray for me, my holy patron and helper, so that, inspired by your example and assisted by your prayers, I may live a holy life, die a happy death and attain to the glory of Heaven, there to love and thank God forever. Amen. Become a Patron of the Rosary Shrine of Saint Jude. Prayers for the intentions of the patrons of the Rosary Shrine of Saint Jude are included in all weekend Masses at the Shrine. The Dominican Friars also pray the Holy Rosary daily for their intentions. In addition, patrons receive monthly gift mailings and a subscription to the Saint Jude Messenger, which comes out twice a year. Simply make an offering in any amount ($5 minimum, $25 suggested) to become a patron.